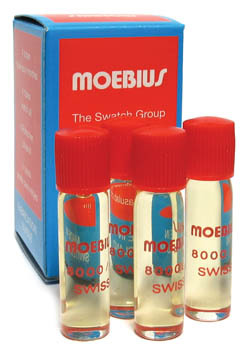 Set of 5 bottles of lubricants for mechanical watches. 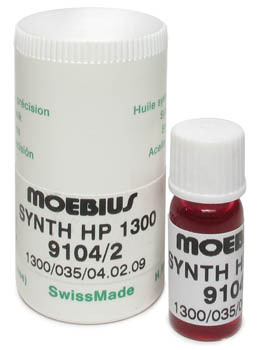 SYNT-HP 1300 9104 for slow trains, frictions steel/steel. 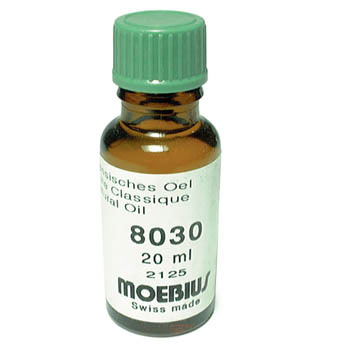 5 ml. 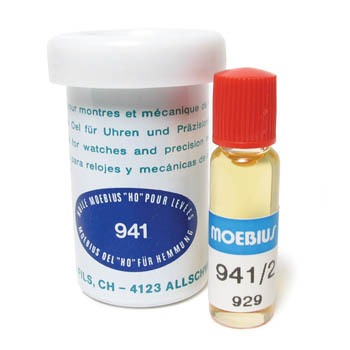 Synthetic Grease 9415 for escapement. 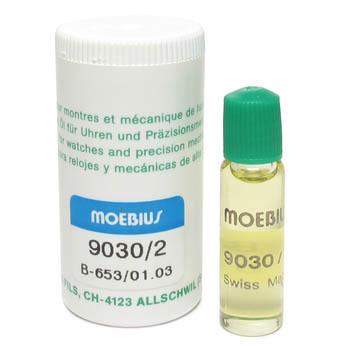 2 ml. 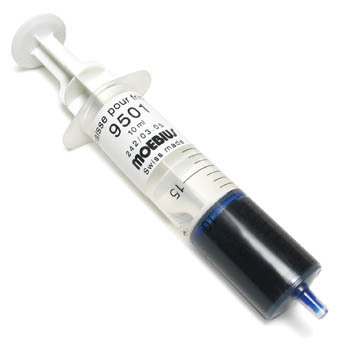 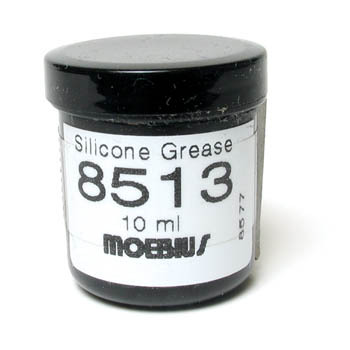 Synthetic grease 95-4 for very high frictions, winding mechanism. 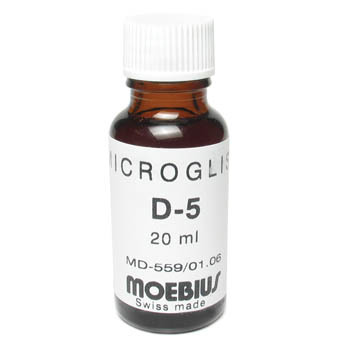 5 ml. 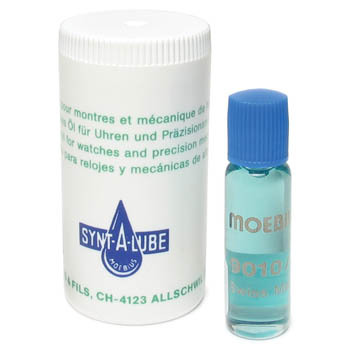 Synt-a-Lube 9010 for fast trains. 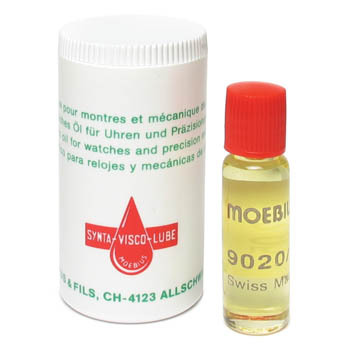 2 ml. 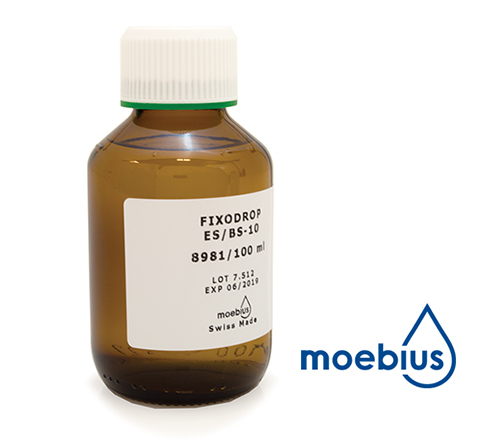 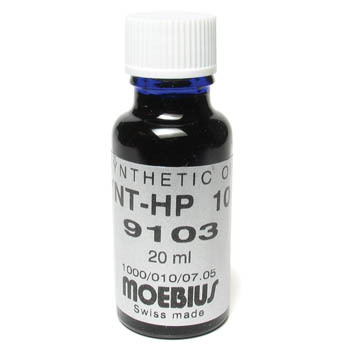 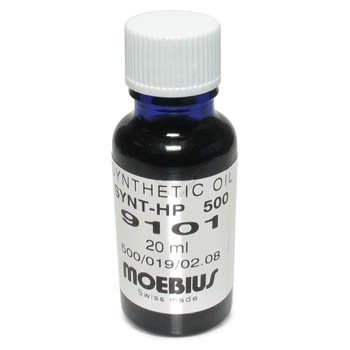 Synthetic grease 9501 for frictions hand setting. 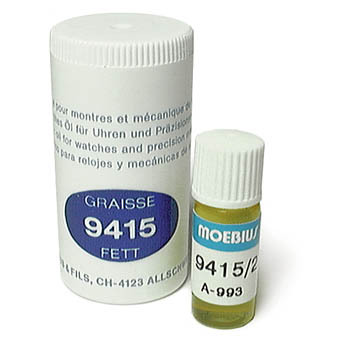 5 ml. 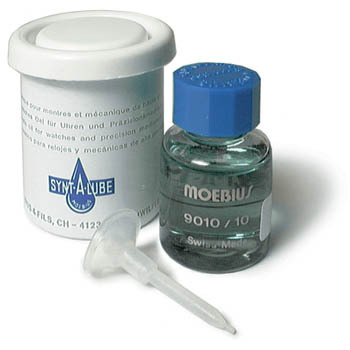 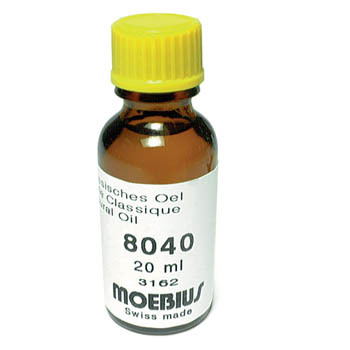 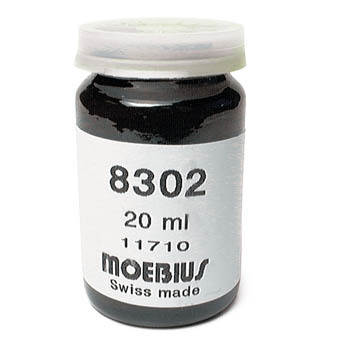 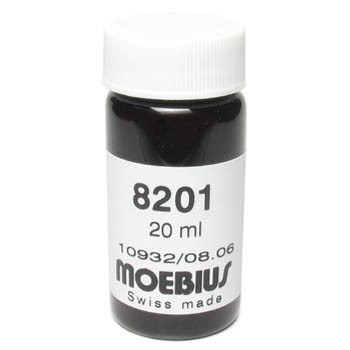 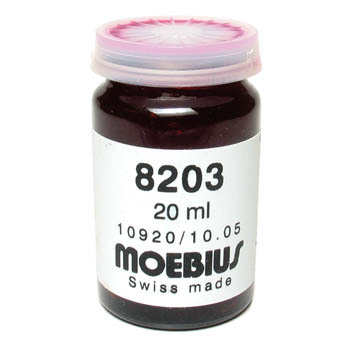 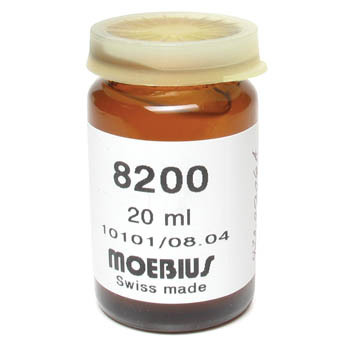 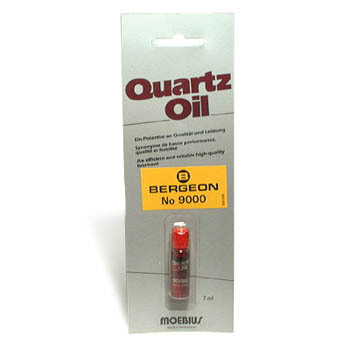 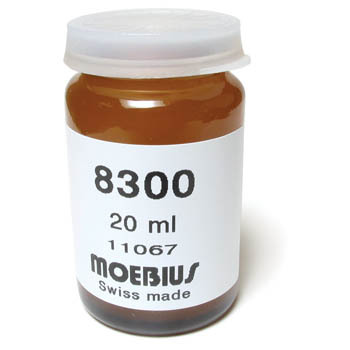 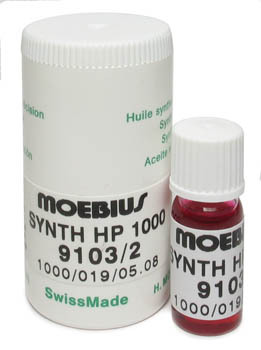 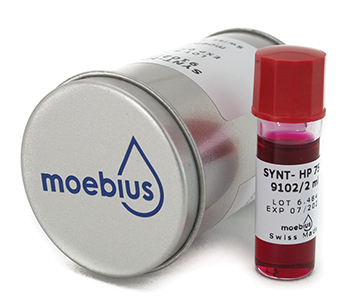 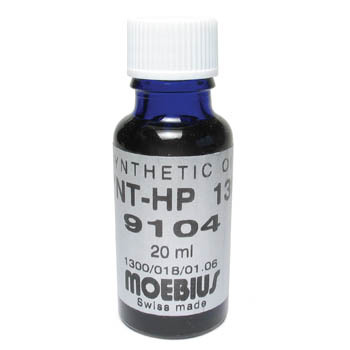 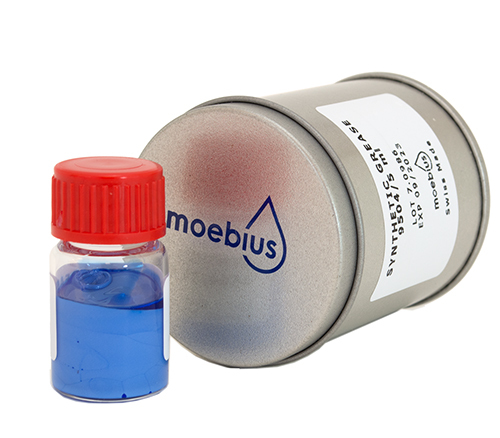 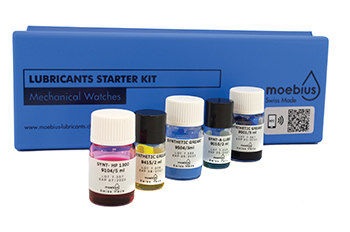 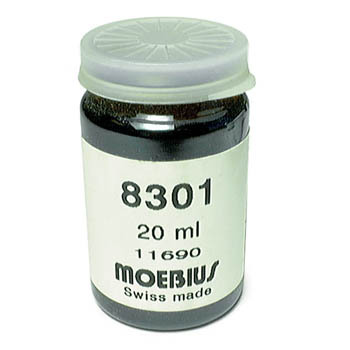 Moebius lubricants starter kit for mechanical watches.